Discussion in 'Other EVs' started by silversod, Apr 8, 2019. "Peugeot has apparently already started production of the e-208. 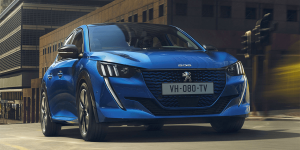 According to media reports, the first vehicle of the new generation Peugeot 208 with an all-electric drive rolled off the assembly line on 27 March at the PSA plant in Trnava, Slovakia."